The expectations and inquisitive appeal over Sandakozhi 2 has been incredibly on its high graph from the time of announcements made. The package of commercial elements offered through the teaser has already marvelled the universal audiences. With the film scheduled for worldwide release on October 18 for the festive occasion of Aayutha Pooja, the celebrations start now with the musical delight. The first single track from the film will be unveiled on August 20 (Monday). It’s noteworthy that the trio combo of Vishal-Yuvan-Lingusaamy had offered an evergreen blockbuster hit Sandakozhi in 2005. 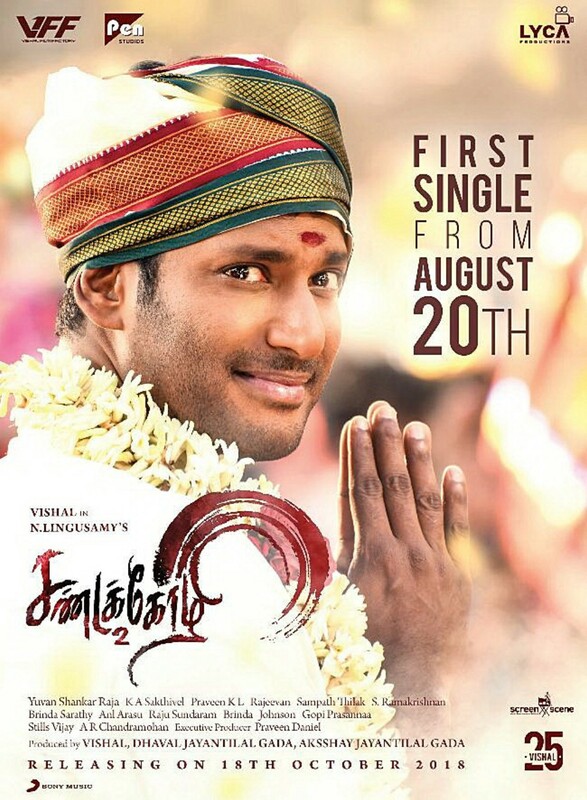 Marking the 25th film for Vishal with the sequel, it’s already one of the most expected films of this season.